Diros is committed to improving RF Pain Management through innovative products and procedural support. Procedural Monographs available to assist our customers. 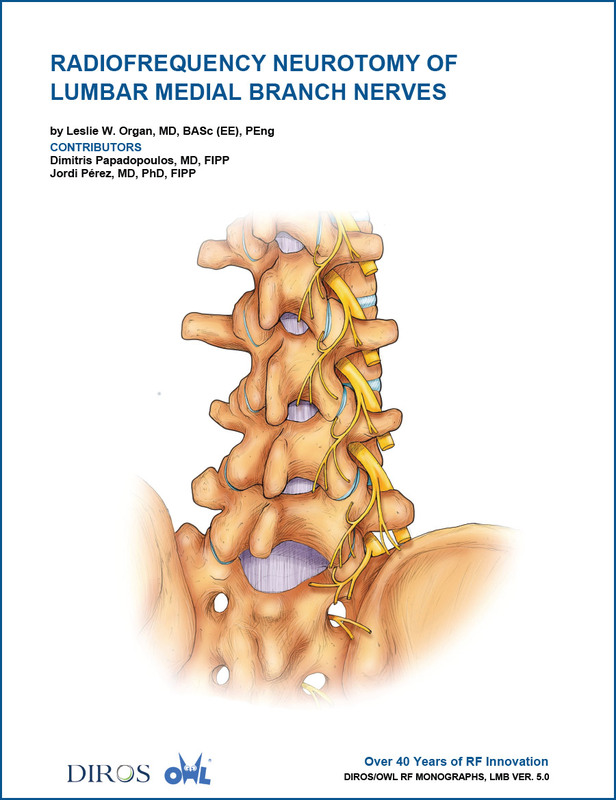 This 26 page procedural monograph clearly describes, with the use of original full color drawings, the anatomy and neuroanatomy of the lumbar facet joints and L5/S1 joint. 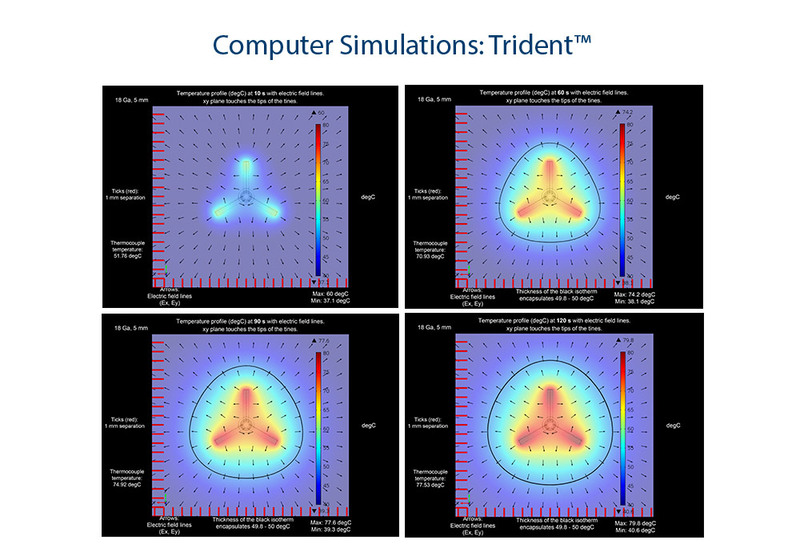 It also provides practical information such as facilities and equipment required and guidelines for patient preparation, positioning, and C-arm fluoroscopy use. 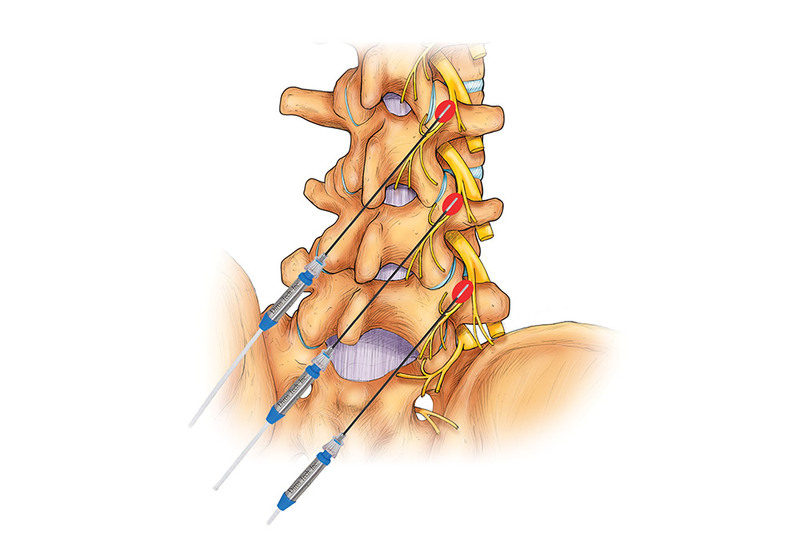 Vertebral and radiological landmarks for precise electrode positioning are detailed and illustrated, and the importance of special structures such as the mamillo-accessory ligament relative to successful facet joint RF denervation are identified. 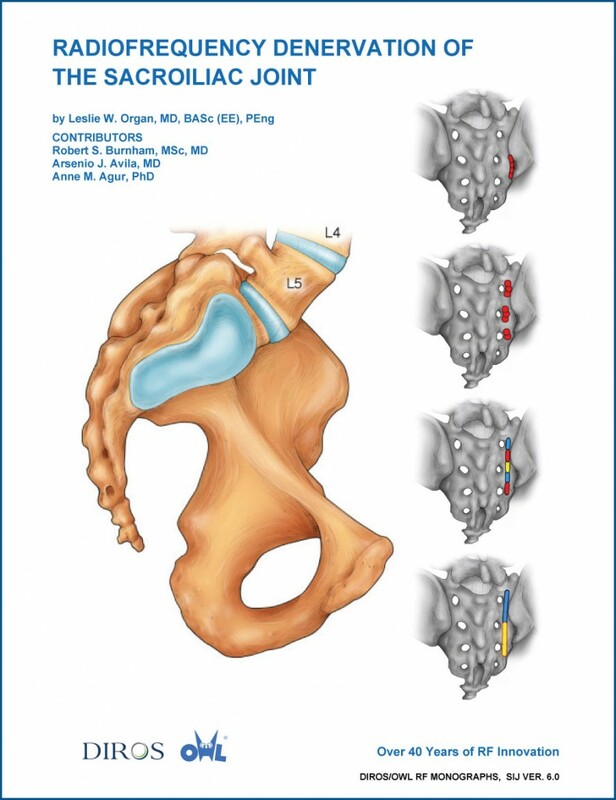 This 41 page procedural monograph clearly describes, with the use of original, high quality full color drawings, the anatomy and unique neuroanatomy of the posterior sacroiliac joint and associated ligaments. It features tables that provide not generally available information such as posterior sacral foraminal height and interforaminal distance to allow calculation of S1 to S3 distance as required for linear strip RF lesions of lateral branch (LB) nerves of the posterior sacral rami, and another table presenting detailed information of the numbers and directions of exiting LB nerves from the foramina of L5/S1 and S1 to S4. 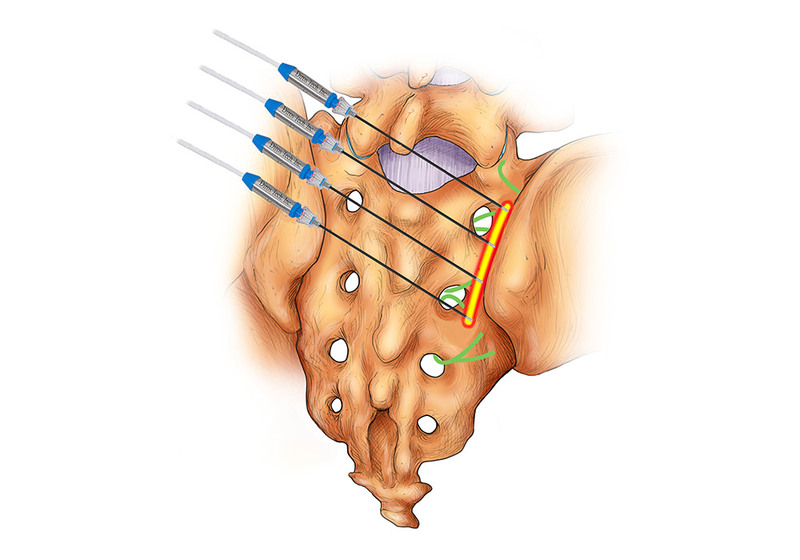 Diros OWL® RF TridentTM Cannulae allow the user to limit the approach to a nerve such as the medial branch to a single step, perpendicular approach, very much the same as a anesthetic block of this nerve, resulting in quicker placement, less x-ray exposure, and greatly reducing procedure time. 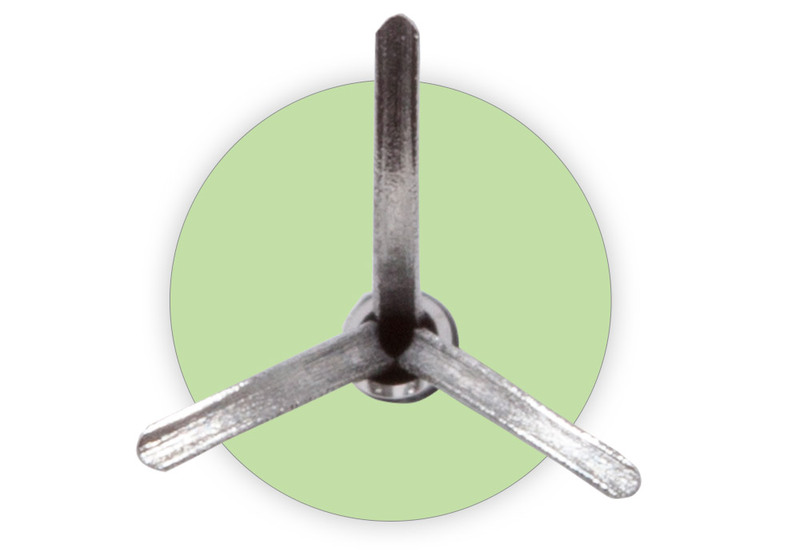 Once the TridentTM Cannula’s tip has reached the nerve, 3 tines are easily deployed from the tip by simple manipulation of the handle. The tine configuration is pyramid-like, resulting in similarly pyramid shaped lesion whose large base encompasses the nerve. 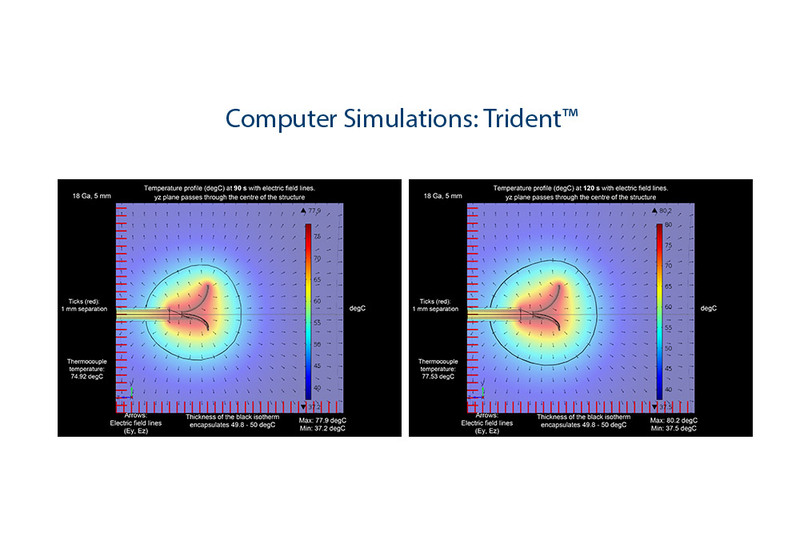 This superior technology allows for a large lesion to be performed on the targeted area without collateral damage. 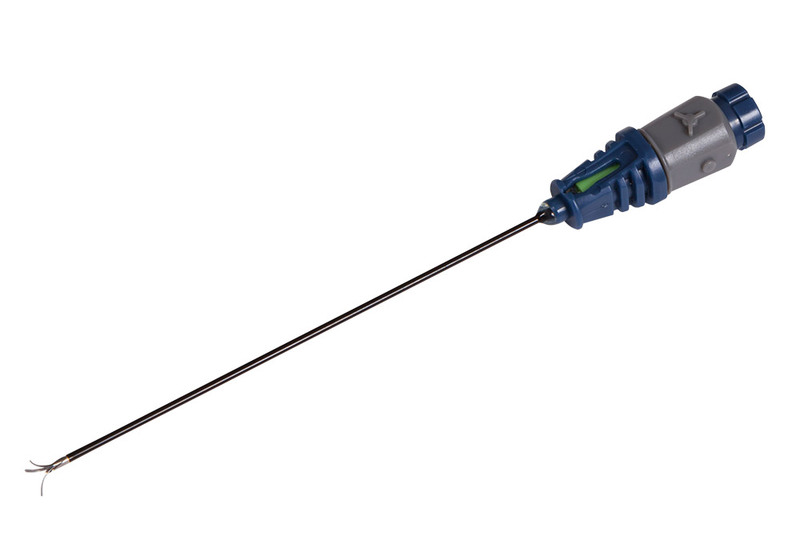 As a result patients’ recovery time is much quicker as the lesion made is a focused lesion on the targeted site using a thin gauge shaft for insertion that expands into a larger gauge bare tip.